While there apparently has never been a better time for home owners in Vancouver and Toronto, the non-stop growth of real estate prices in these cities has made more than a few analysts nervous. 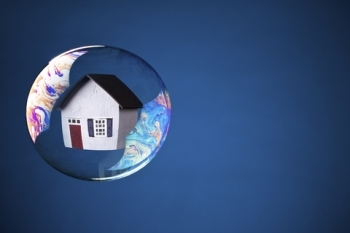 In his July 20 piece for The Motley Fool Canada, industry observer Nelson Smith stated that as more and more people (especially young professionals and starting families) are priced out of the housing markets, it would be sensible for owners and investors to take steps to protect themselves from a possible bubble. “[If] Canada’s housing bubble pops in a big way, investor portfolios could get caught in the crossfire. That’s bad news, especially for somebody with property in an overheated market,” Smith wrote. A viable solution that can shield one from a potential crash is the “sell and rent” tactic. “There are thousands of homeowners in Toronto sitting on at least $1 million in home equity. If that cash is properly invested in a portfolio of dividend stocks instead of sitting idle, it could spin off between $30,000 and $40,000 per year in income, easily enough to cover rent in a smaller place,” the analyst explained. A more radical version of this tactic is to look and settle outside the red-hot markets altogether. “Yes, I know it’s hard to leave a place that’s grown to become home. But Toronto homeowners who move just a few hours away can find affordable housing in communities that still offer many of the amenities of home, and they can lock in impressive gains in the process,” Smith said. “I argue that it’s prudent for investors to lighten their exposure to real estate. At this point in the cycle, it’s just smart,” he concluded.